Update, August 2018: This post was originally written in May 2017, and has only minor updates (fixing typos, adding a couple of additional links). Mastodon has continued to make progress, and I’m sure there are some new lessons to learn; so I added “(so far)” to the title. April was an exciting month for Mastodon. By the end of the month, the open-source, decentralized, social network (“Twitter without Nazis”) had grown to over 500,000 users, funding via Patreon for the lead developer and a part-time project manager, and corporate adoption. The month had its challenges as well, of course. 14 Perspectives on a Breakthrough Month gives an overview of what happened. Things have calmed down in May. There’s a lot less media attention, and growth is slower. The release process is getting more mature, with kanban boards and release candidates, and discussions in the Discourse forum as well as the Discord and Matrix chat rooms. So now’s a great time to look at what we can learn from these experiences — for Mastodon and its future, and for other independent social networks as well. A lot of people want an alternative to corporate-owned ad-funded social networks. Paying attention to marginalized communities is a great way to get critical mass and visibility. There’s interest across the world, not just in the U.S. Mastodon’s lead developer is German, the most active instances are based in Europe and Asia; France is the first government to have an instance; and initial corporate adoption came in Japan. Policies against racism, sexism, discrimination against gender and sexual minorities, and Nazis are extremely appealing positioning these days. Not for everybody, of course: anti-safe-spacers, people with simplistic views of “free speech”, trolls, harassers and Nazis all have problems with it. Still, there’s clearly a large under-served market who’s sick of the norms on Twitter, Reddit, Facebook,* and elsewhere. An explicit anti-harassment and pro-sexual-minority focus will attract a lot of people who are tired of the normalized harassment and heteronormativity on other social networks — enough to have a significant impact on the software. 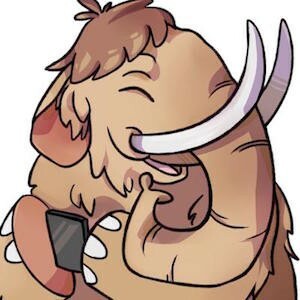 Furries, LGBTQ+ people, and women have implemented the bulk of Mastodon’s functionality, and continue to help drive development going forward. However, even with a stated anti-harassment focus it can still be challenging for a network to respond well when people are actually harassed. In decentralized networks, communications between instances whose admins have different norms about the definitions of and appropriate reactions to harassment add a level of complexity. — harassment is more likely to be directed at women, people of color, and LGBTQ+ people. — impacts are likely to fall most heavily on women of color, and in particular queer women of color. Rapid growth will tend to dilute a LGBTQ+ focus, unless there’s an effort to keep LGBTQ+ people centered and give them real authority. Allie Ward’s Mourning Mastodon and Mourning What Now?!?! posts make this case in detail. Update, September 2018: hoodie aida kitten‘s’ Mastodon’s Complicated Relationship with Queer Activism highlights ongoing tensions; Gô’s Fringe Mastodev — Part I: The Beginnings and Part II: Enter Allie Hart provide a detailed look at the early history. The existing “fediverse” is a two-edged sword for a social network with an anti-harassment and anti-racism focus. While the fediverse shares the goal of building an alternative to corporate sites, many fediverse sites that describe themselves as “free speech zones” (and people who prefer those sites) are likely to disagree on some core issues including the definition of harassment. Instance-level federation choices are an important tool for sites that want to create a safer environment (although need to be complemented by user-level control and other functionality). Given the range of different attitudes towards harassment (etc. ), this is likely to lead to alliances of more-closely-linked groups of sites that share values, with relatively weak connections between the groups. There’s a lot more that can be done to counter harassment, Nazism, racism, sexism, transphobia, and other hate online. Mastodon’s current functionality only scratches the surface of what’s possible — and has generally been introduced in reaction to events in the network. By contrast, Andrea Barrica’s Ignoring Online Abuse is Bad for Business. Let’s Build Safer Spaces talks about O.school’s more proactive approach, and Transforming Tech with diversity-friendly software looks at Mastodon in a broader context. It’s early days yet for Mastodon — it’s been around for less than a year — and no doubt there’s more to learn as well. It’ll be interesting to see how the software and the community evolve over time. Stay tuned! Thanks to Creatrix Tiara, Thursday, and others for feedback on early drafts! Update, June 26: — Here’s the tootstream from my live-tooting the toot.cat admins’ Open Source Bridge presentation Federating with the Trouble, going into more detail based on their experiences. Originally published at A Change Is Coming.